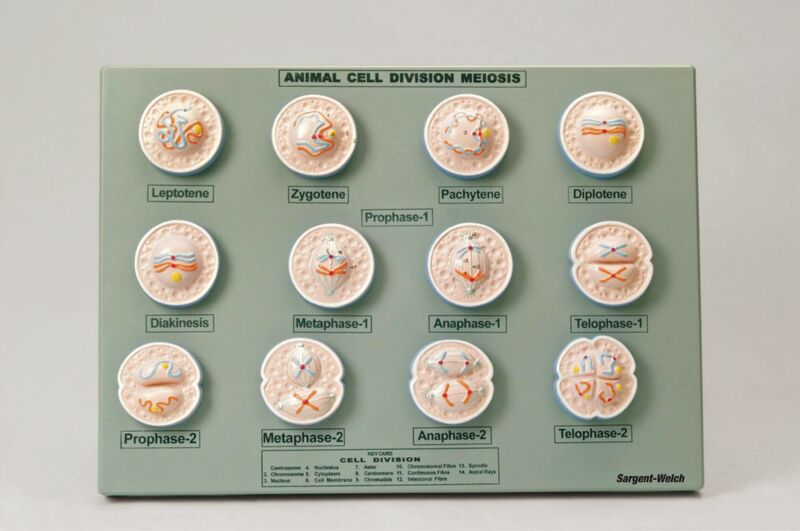 This set shows meiotic cellular division in every stage. Models are mounted on a common base. 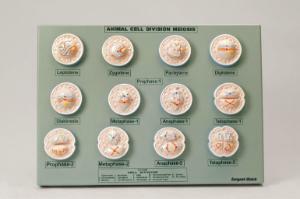 The level of detail highlights all structures as they would appear under a microscope.